In post-war America, the elderly looked forward to retirement in their early 60’s, collecting Social Security after decades of hard work and leading a life of leisure. Now let’s fast forward to 2016, where aging Baby Boomers are still in the workforce with no chance of slowing down. Many are taking on second careers or part-time opportunities to challenge themselves after mastering their initial craft. Unlike their parents, a combination of grim financial realities and smart advances in healthcare make perfunctory retirement ages relics of the past. In fact, there are now three times as many people over the age of 70 working than 20 years ago. 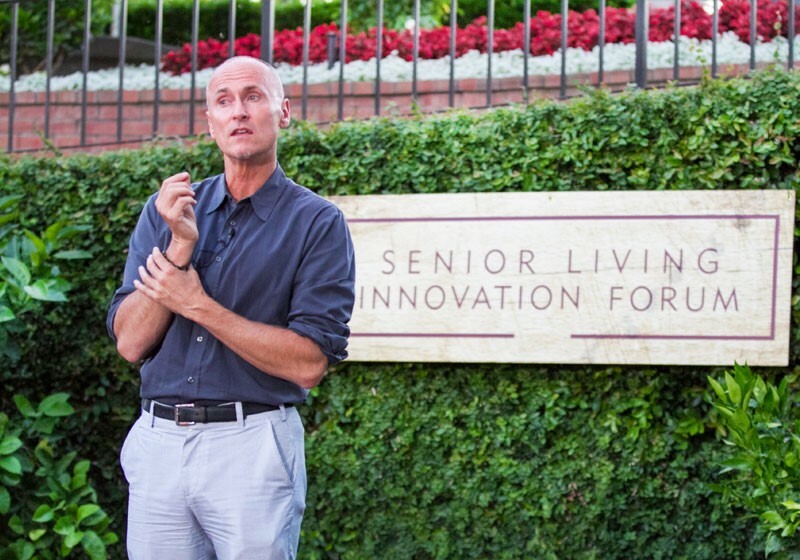 At the forefront of the “second career” movement is Chip Conley, Head of Global Hospitality & Strategy at Airbnb, who has proven you can teach an old dog new tricks. In 2013, at age 52, he started at the burgeoning tech startup where he mentored CEO Brian Chesky. At the time, Conley had recently sold his own boutique hotel brand—Joie de Vivre—to Hyatt after two decades of serving as CEO. According to Conley, Chesky viewed him as a “disruptor” and craved sage advice to make Airbnb the successful company it has become today. To this day, Conley still views Airbnb as a way to democratize hospitality on a global scale. But part of the reason Conley took on his new role can be tied to an insight: his generation will live 10 years longer than his parents’ and organizational power is moving 10 years younger. That equates to 20 extra years of “bonus” career time. 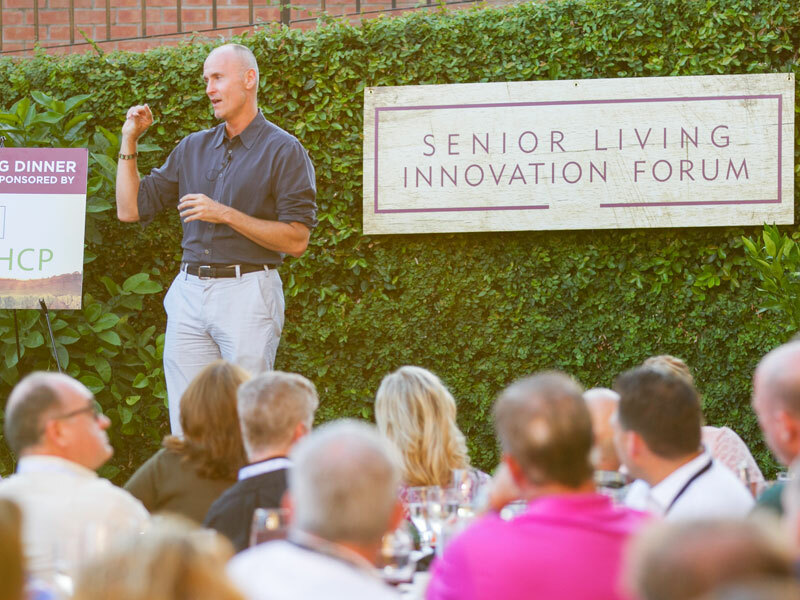 Senior Living Innovation Forum attendees had a chance to listen to Conley’s experience of starting over his career with a 21st century standpoint. 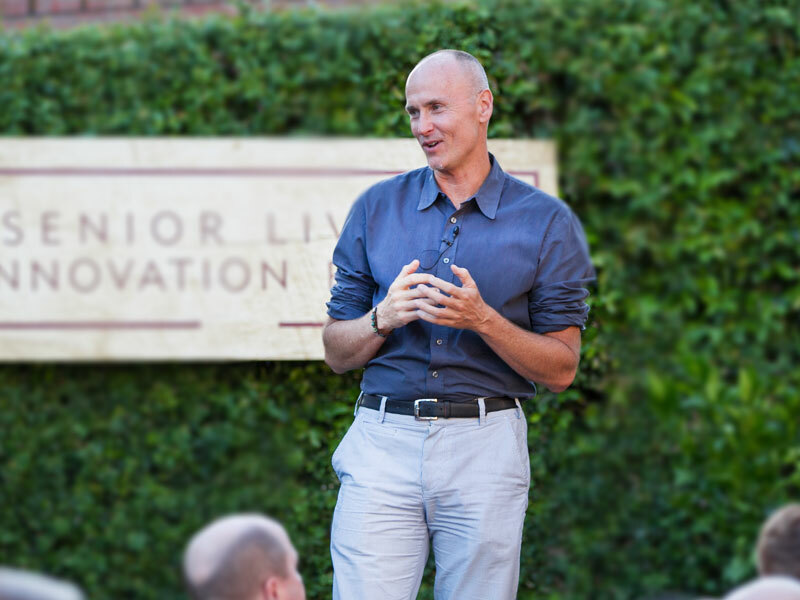 As he became more engrained into Airbnb’s culture—a largely millennial organization where even his manager was 21 years younger than him—he learned three key skills that any “modern elder” could use in the digital era. Being curious. Previous generations implemented a top-down model of management where the traditional elder was the only teacher. In the current workforce, learning and teaching can occur at any level. At Airbnb, they describe their company as a “catalytically curious organization” or one that thrives on groundbreaking questions. Using emotional intelligence (EQ). As a byproduct of their youth, Millennials are more comfortable with glass screens than human faces. That makes body language and other markers of EQ fly under the radar of young talent. Modern elders can offer value by mentoring privately about “reading rooms” and refining others’ soft skills. The power of offline connections and knowledge. As amazing as Google can be, the search engine giant cannot provide the same level of nuance as a human industry professional. Modern elders can offer decades of experience and connections to team member when needed for personal or professional growth opportunities. The most striking realization for modern elders occurred as Conley humorously compared experience to death. Years ago, when an elder died, it were as if a library burned down. In the digital age, wisdom never grows old. Conley also addressed industry challenges during a Q&A session with attendees. One question asked how to create intergenerational environments that balance needs. Conley proposed the idea of locating senior communities in areas close to cultural and educational facilities in which all generations could interact. Another question asked how senior care could forecast the future. Conley made the bold assertion that the entire industry was in deep trouble and not well poised to transform easily. For decades, innovation and tech didn’t keep pace which led to huge real estate acquisitions focused on square footage over market trends. More and more, modern elders do not want to be “tied down” to the same property for decades while still able-bodied. Conley further explained how the all-in-one properties (independent living through nursing) that work well for the current elderly won’t appeal to Baby Boomers. So, can two polar opposite generations work together seamlessly? The answer for many is yes—likely due to the intellectual capital both sides can learn from. Want to hear from more thought leaders in the senior care industry? Request an invite to the next Senior Living Forum on our homepage.